Looking to get slime out of well… everything? Here’s how to do it. 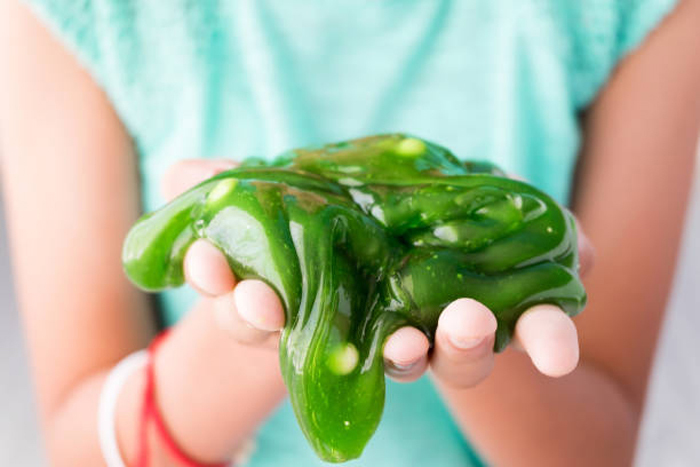 Since the minute the slime craze started my kids have been all in. 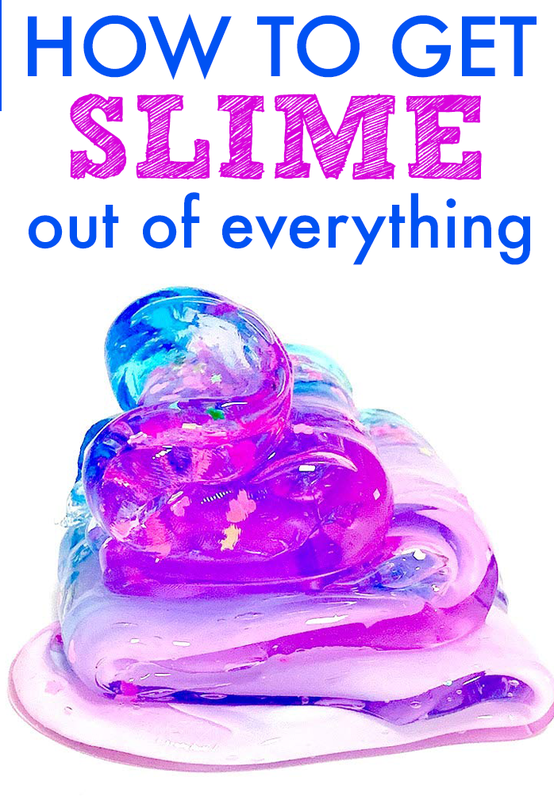 Not just slime, but silly putty, brain putty, and anything sticky. I feel like I may be somewhat of a slime removal expert these days. So if you have a mess you’re looking to clean, here is how to get slime out of everything. FYI, Elmers Glue just came out with a specific slime remover that I hear works good. I haven’t tried it yet though. For all of these cleaning tips, you’ll want to get off as much excess slime as possible before getting down to the stain. To do this, I like to use a metal spoon to scrape, scrape, scrape. Then, pour vinegar over the stain and scrub. The last step is to use your favorite stain remover. (The one that I use constantly that works the very best is Bissell Professional Power Shot Oxy.) Scrub some more until the stain is gone and let it dry. Use warm water and vinegar in the shower or bath and massage the slime out. This takes a bit of time to work it out, but if you’re patient it will work. If it’s close to your kiddos face, have them wear some goggles while you do your work. Vinegar is our friend here, again. Over the sink pour a generous amount of vinegar over the slime. Grab a cleaning brush and scrub the slime off. Repeat until it’s all off. Again, use a spoon to get as much excess slime off as possible. Then use pour a bit of rubbing alcohol over the stain and rub with a towel. Use as little rubbing alcohol as you can while making sure to cover the stain. If you’re looking to remove slime stains from anywhere else, the basic principles are vinegar and hot water.